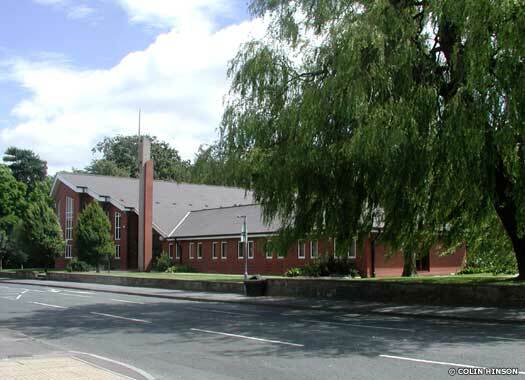 The Church of Jesus Christ of Latter-Day Saints is on the southern side of Acomb Road, opposite Grantham Drive in Holgate. The organisation was founded by Joseph Smith in New York State in the USA in 1830. This particular branch was built in the late 1980s after fire destroyed its predecessor, although the date of construction for that first building is unknown. More recently plans were undertaken to expand the premises for a growing congregation. 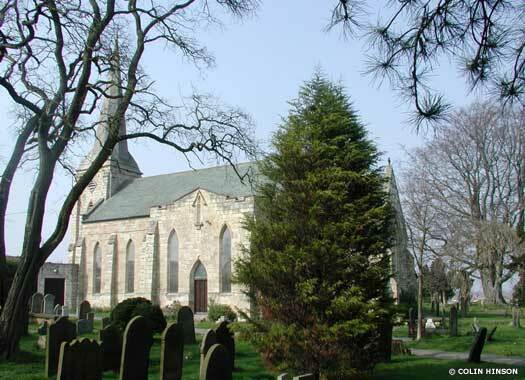 The Parish Church of St Edward the Confessor Dringhouses is on the eastern side of Tadcaster Road, opposite St Helen's Road. St Helen's Chapel (of ease) is recorded here for 1546 and 1548. It survived the Reformation and was replaced by another building in 1725. This was in turn replaced by the present building in 1847-1849 which was consecrated in 1849 and its dedication changed from St Helen to St Edward. 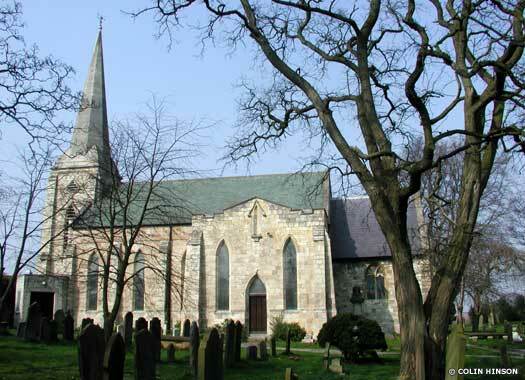 It gained a parish from Holy Trinity Micklegate in 1853. 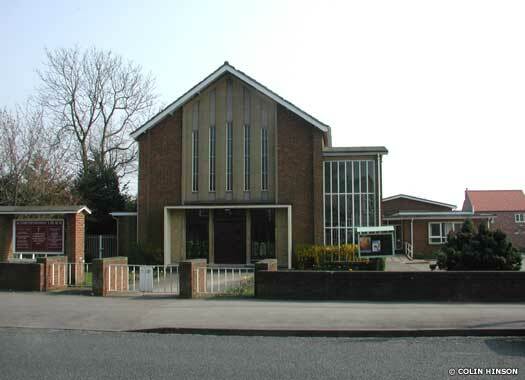 West Thorpe Methodist Church is on the eastern side of West Thorpe Road, opposite Sandcroft Road, near Woodthorpe. Methodism was introduced locally in 1816 and a chapel was built in 1834. A larger building, known as Dringhouses Chapel, replaced it in 1890 on the same site at the corner of Slingsby Grove and Tadcaster Road. This closed in 1954 and the old chapel was sold. The present chapel opened on 17 July 1954, some distance from the old chapel site. The Parish Church of St James the Deacon is on the north-east corner of Rycroft Avenue and Sherringham Drive in Woodthorpe. 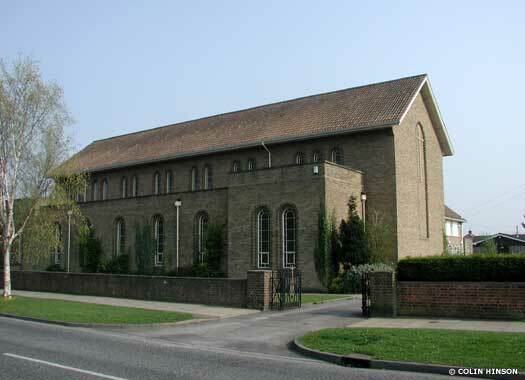 The parish began as a mission district in 1952, with its base in Thanet Road where a combined church and hall and later a vicarage were built. The current site was purchased in 1966 to build a church which would be more central to the growing population in the area. 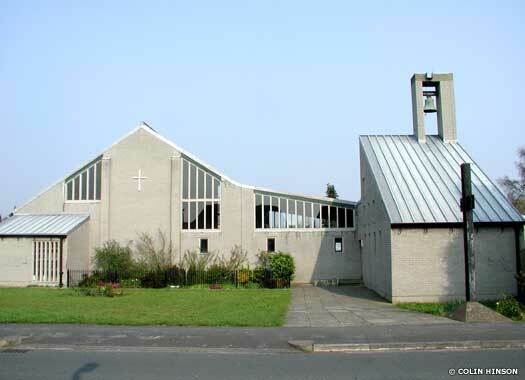 The present church, designed by George Pace, was consecrated on 2 July 1971. The Catholic Church of Our Lady occupies a site at the south-west corner of Gale Lane and Cornlands Road in Acomb, to the west of York. 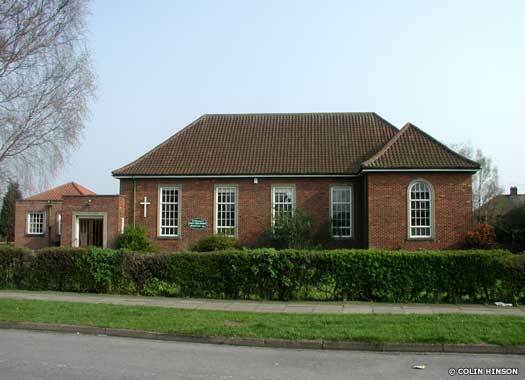 Roman Catholic services were begun in Acomb Council School in 1941. The present brick-built church was opened in 1955. It consists of a nave with two side aisles and a clerestory and enough seating for four hundred persons. The cost of the building was £28,000, constructed to a design by J H Langtry-Langton of Bradford. Acomb Methodist Church stands on the southern side of Front Street, approximately forty metres (yards) west of Chancery Court. The first chapel here formerly stood some metres down the street, on the opposite side. This was demolished and replaced by the present chapel in 1963, which was opened in 1964. The church contains its own war memorial, 'To the Glory of God and in memory of the men of this Church who died in the Great War 1914 - 1919'. 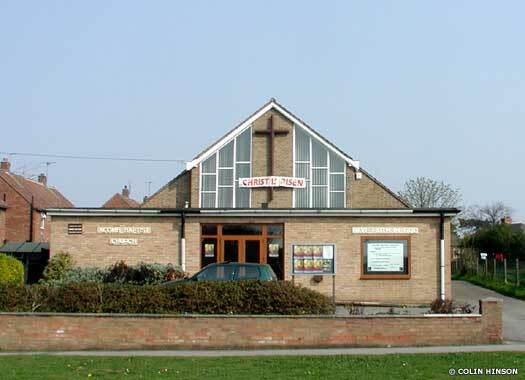 Acomb Baptist Church stands on the eastern side of the Ridgeway, opposite Barkston Avenue. 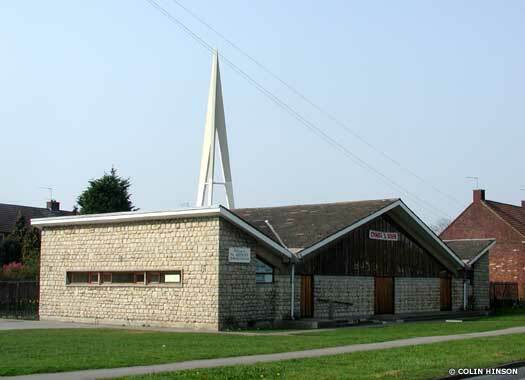 The church began life as a wooden hut, which was opened on a patch of grass on the site in 1960 when ministers at York Baptist Church realised the need for local services in the rapidly expanding suburb. Initially, baptisms were conducted outside in the open. Following modest extensions, the decision was made to erect the present building, which opened in 1969. St Aidan's Church stands at the north-west corner of the Ridgeway and Bramham Avenue in Acomb. The parish lay round the western half of York and stretched from the river on the north to Dringhouses township on the south. It was not brought within the city until 1937. To serve the growing population of the area two churches were built to supplement the ancient church of St Stephen (below), while St Aidan, which is a post-1961 construction, was included later. St Stephen's Church stands in grounds on the northern side of The Green at its eastern end, where it meets the York Road. Built on a hill, a Saxon church stood here originally, before being replaced by a medieval building. Parts of the original Saxon church were uncovered in 1830, when the church was rebuilt and enlarged between then and 1831. The architect was G T Andrews (who was also the architect of York's first railway station, which still survives as railway offices). In 1851, the porch of the Saxon chancel was taken down and the present chancel erected. 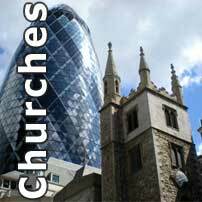 On 19 December 1992 the church was set ablaze by two boys who broke in through the toilets. Following extensive restoration work the church was rededicated on 17 September 1994. Acomb Allowed Meeting (Quakers) started nearby, in the Foresters' Hall, Acomb, in 1906. 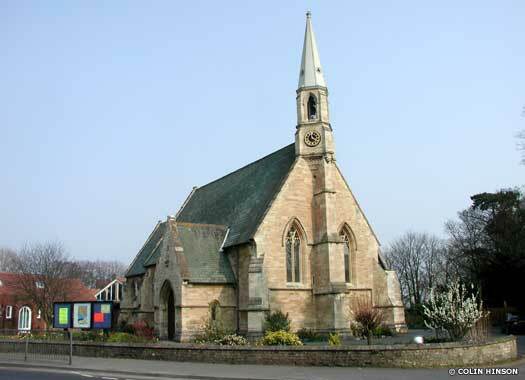 They bought Acomb Primitive Methodist Chapel on Acomb Green in 1911, and continued until after 1956.